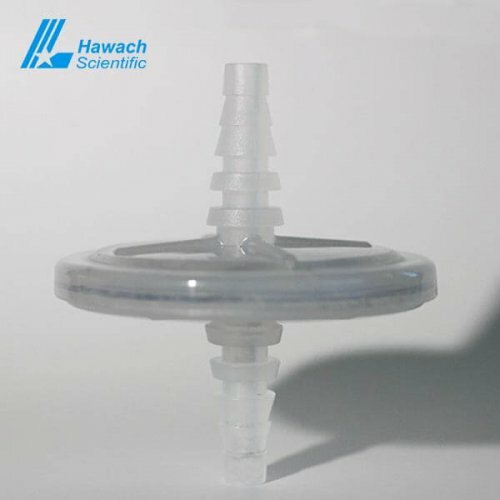 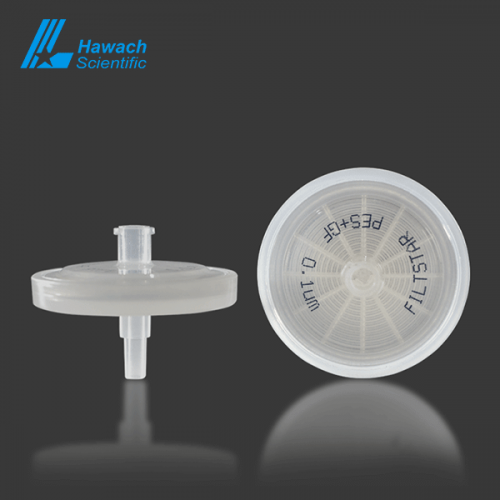 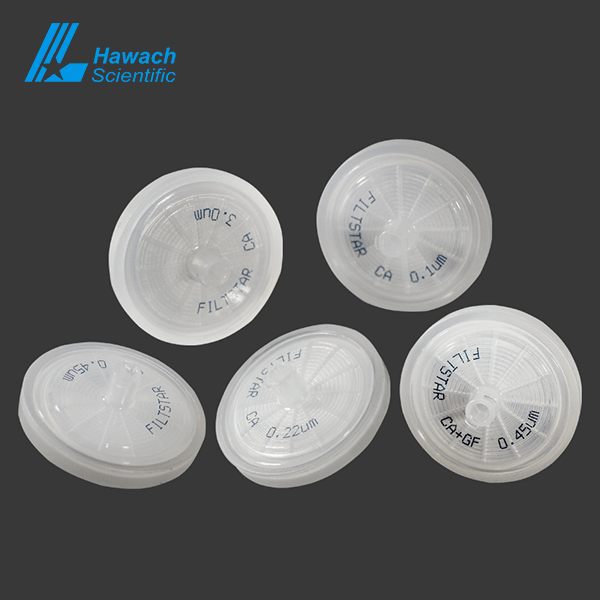 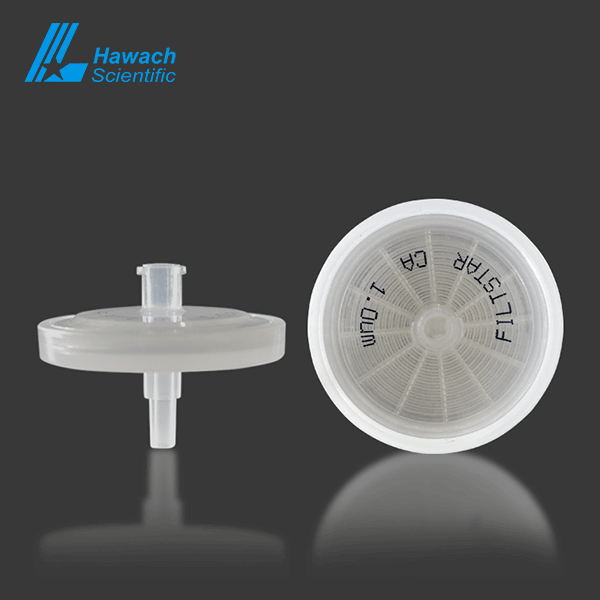 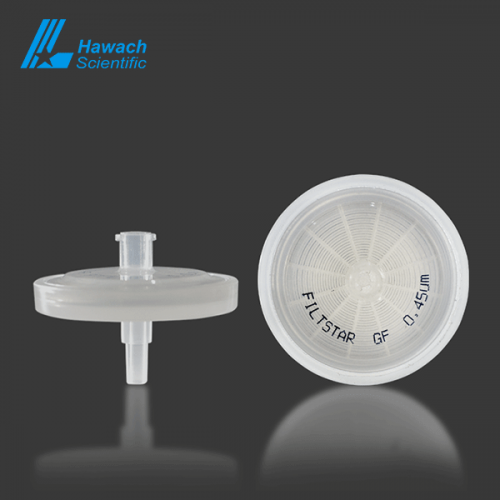 Hawach Cellulose Acetate Syringe Filters have limited resistance to organic solutions. 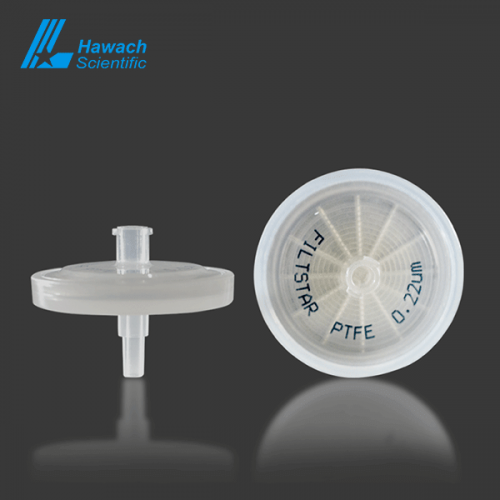 Cellulose Acetate Syringe Filters are an excellent choice for protein recovery applications due to its low protein binding rate. 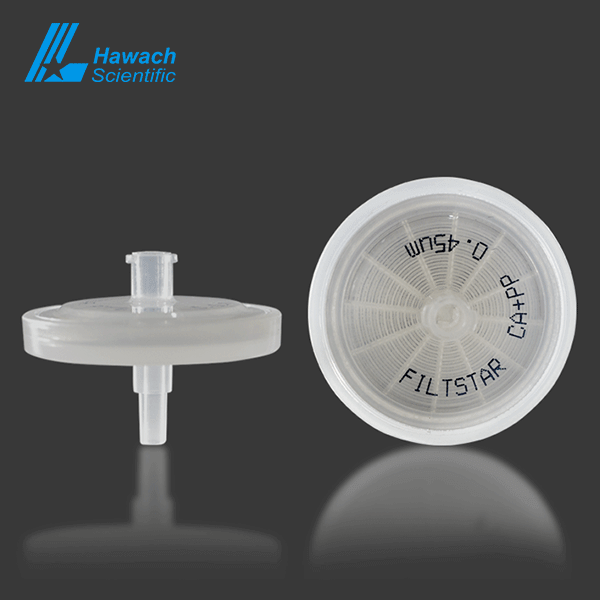 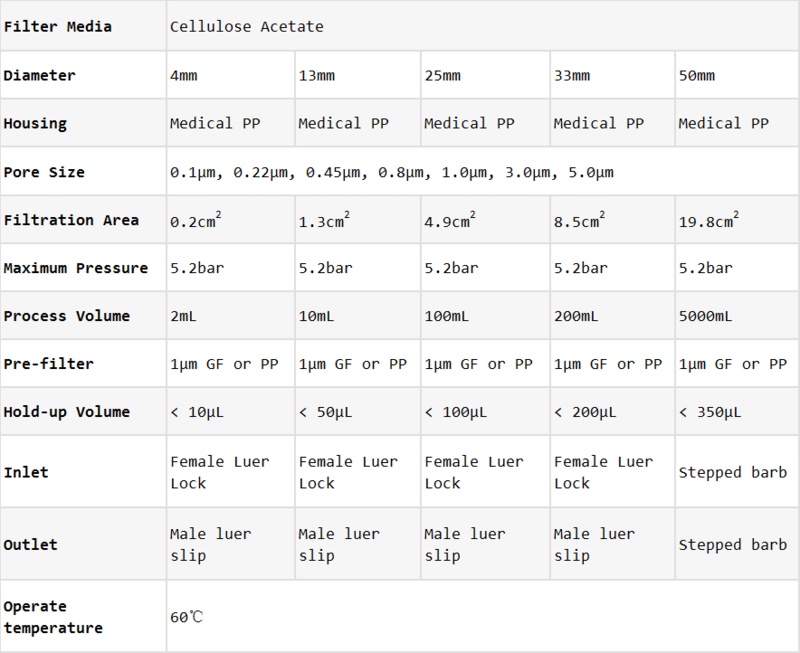 Cellulose Acetate Syringe Filters combine high flow rates and thermal stability with very low absorption characteristics. 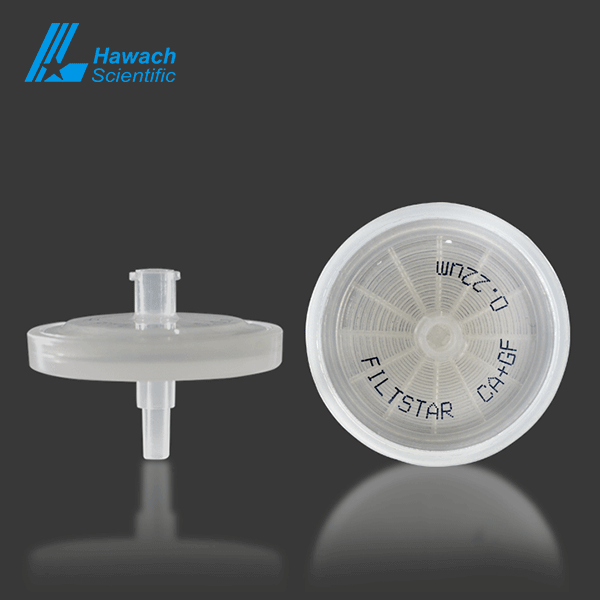 Cellulose Acetate Syringe Filters suitable for filtration of proteins and enzymes, sterilization of tissues and culture media.